The concentration of nitrogen dioxide (NO2), a toxic gaseous pollutant, substantially rose in Delhi in 2017, despite a fall in diesel consumption. NEW DELHI: The concentration of nitrogen dioxide (NO2), a toxic gaseous pollutant, substantially rose in Delhi in 2017, despite a fall in diesel consumption, according to official data. 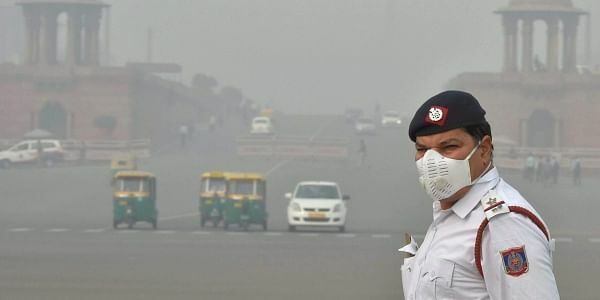 The Delhi government today attributed the fall in levels of particulate matter (airborne particulate matter) in the city to the fall in diesel consumption, but annual NO2 level breached 50 microgram per cubic metre (ug/m3) last year for the first time since 2013. According to pollution data of the six National Air Quality Monitoring (NAMP) stations in Delhi, the annual concentration of NO2, primarly a product of diesel combustion, has been steadily rising since 2015. The stations are located in Pitampura, Siri Fort, Janakpuri, Nizamuddin, Shahzada Bagh and Shahdara. The data shows, the annual NO2 average in 2013 was 49.8 ug/m3, 46.3 ug/m3 in 2014, 48.3 ug/m3 in 2015, 49.8 in 2016 and 51.83 in 2017 as against the annual safe average standard of 40 ug/m3. But how can one explain the increase in NO2 despite a fall in diesel consumption, from 15.08 lakh metric tonnes (MT) in 2015-16 to 12.67 lakh metric tonnes (MT) 2016-17, and a dip of 11 per cent in the registration of new vehicles in 2017 as against 2016 in the city? Anumita Rowchowdhury, executive director of the Centre for Science and Environment (CSE), said it may be due to a massive number of vehicles entering Delhi from the neighbouring national capital region districts. "In 2015, we found that the daily total influx of vehicles in Delhi from outside was nearly similar to the annual registration figures," she said. Meanwhile, going by the same Central Pollution Control Board (CPCB) report, the levels of PM2.5 and PM10 in the city's air dropped marginally in 2017, the first time since 2013. The levels of PM2.5 in 2013, 2014, 2015, 2016 and 2017 were - 73, 80, 81.5, 118.9 and 101.3 ug/m3 as against the annual prescribed standard of 40. Annual PM10 levels during the corresponding years were -- 211, 215.8, 227.8, 301 and 260.6 ug/m3. The annual prescribed limit is 60. Deputy Chief Minister Manish Sisodia said the fall in the levels of PM has also got to do with the fact that the AAP government, "unlike its neighbouring counterparts", sincerely enforced measures under the Graded Response Action Plan (GRAP).